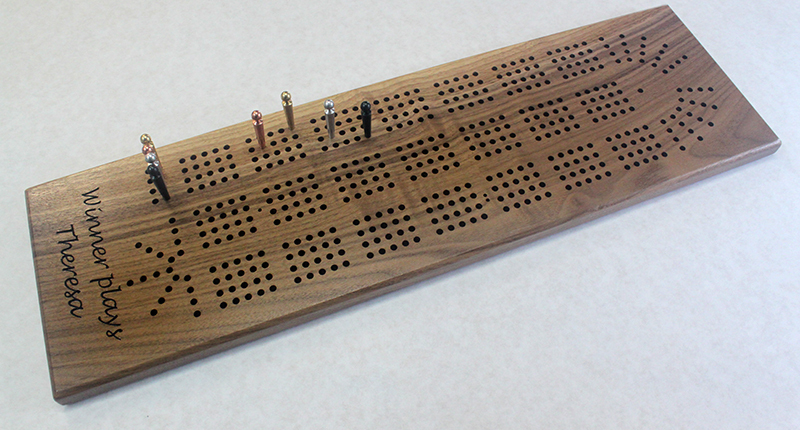 A large-hole engraved four track continuous board in a range of wood species. This engraved board measures 7" by 23". It features four continuous tracks, with an engraved name or short message below. 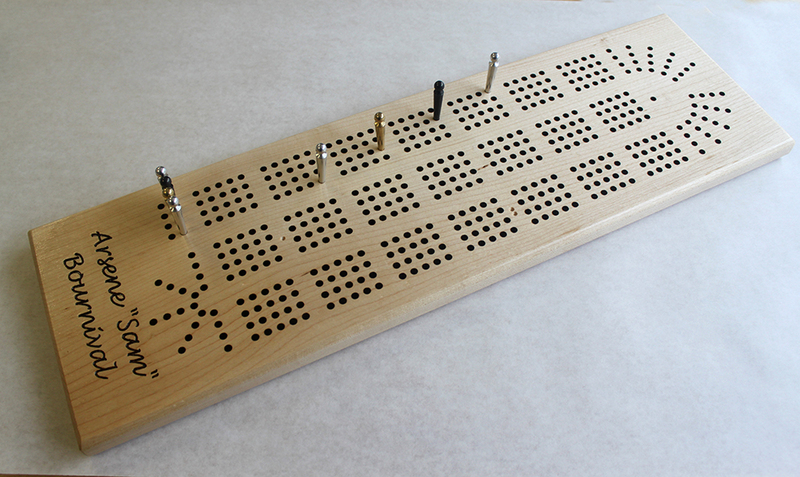 This board has 3/16" holes and uses our giant 2" pegs. It comes with twelve giant metal pegs, eight of which live in a pocket in the back with sliding brass plate for closure, and four for spares. There are three pegs of each color - brass, copper, aluminum and black steel. The engraving is hand-painted with a deep brown acrylic. 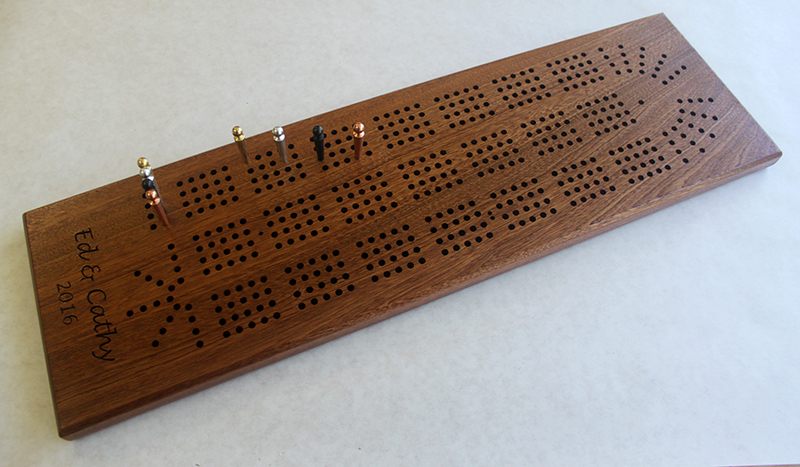 The top four edges have a generous chamfer adding to the style of the board. After sanding smooth, this board is brushed with shellac to protect the wood.